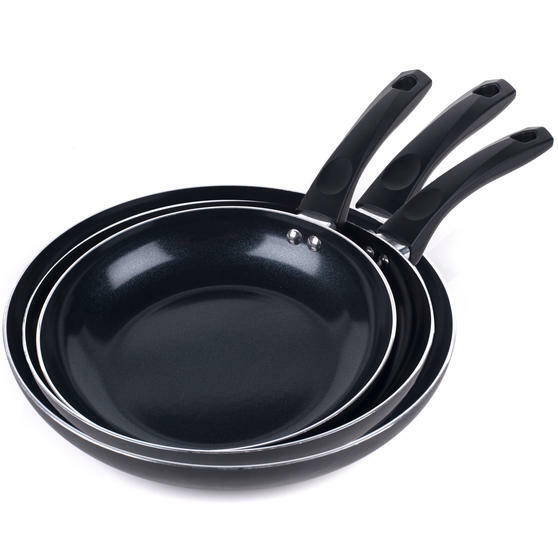 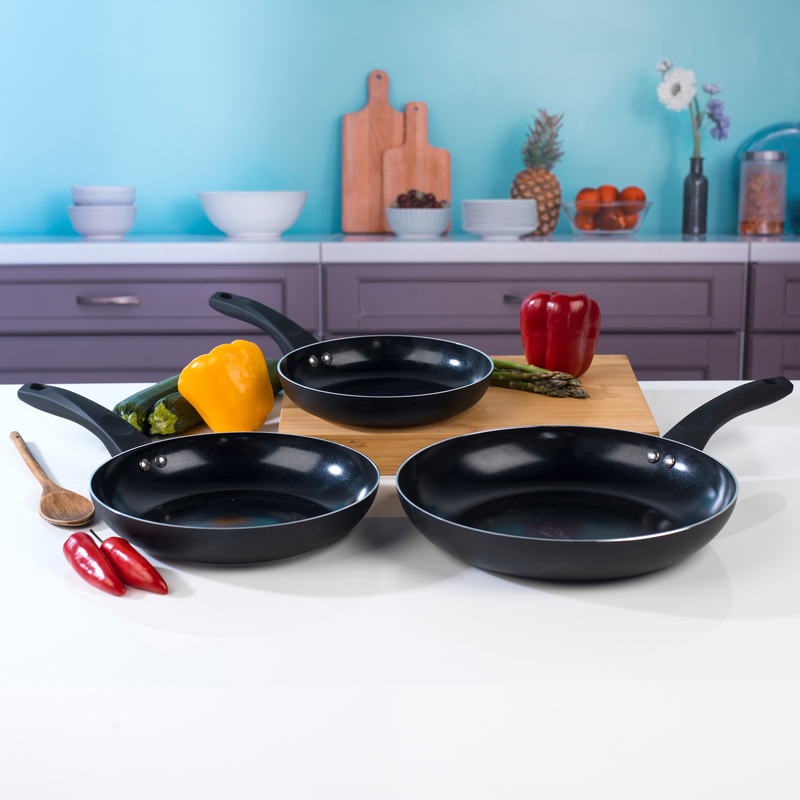 An ideal replacement for any ageing cookware, this set of three Beldray frying pans have a superb non-stick coating to make cooking simple. 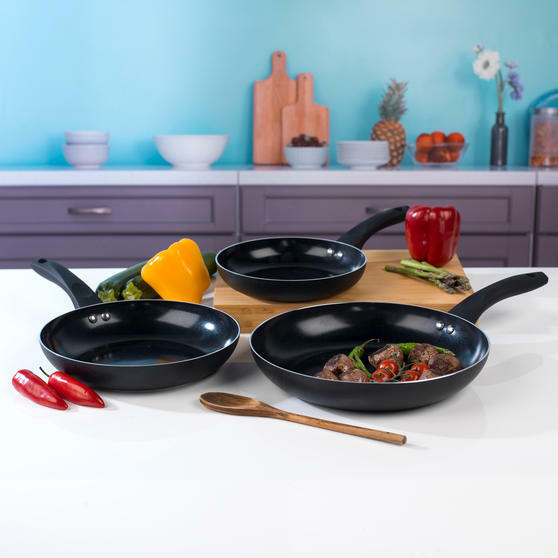 Measuring 20, 24 and 28 cm the pans are made from durable aluminium with a ceramic coating suitable for any hob type including induction. 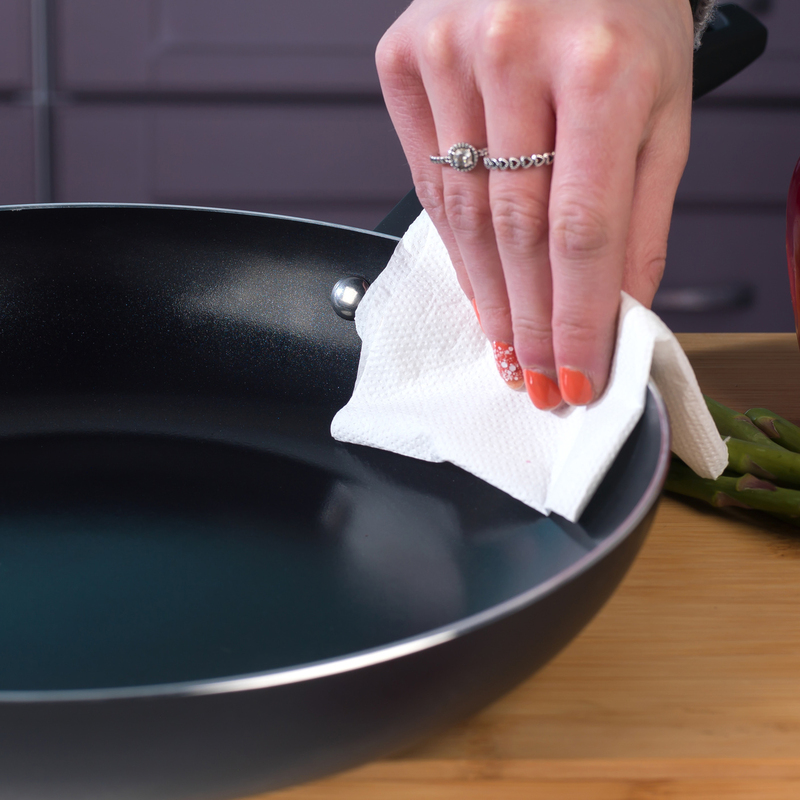 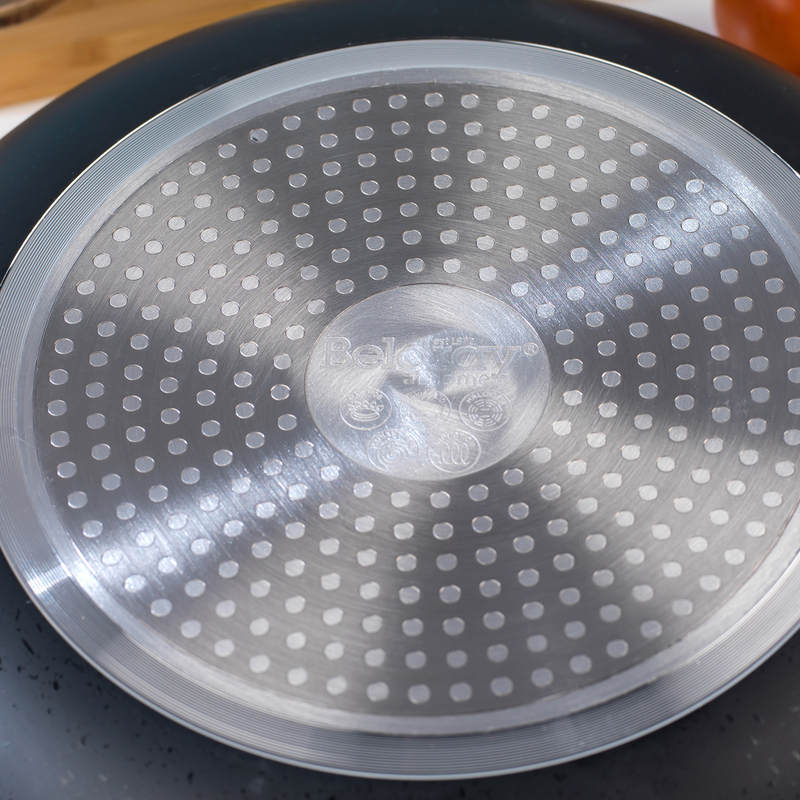 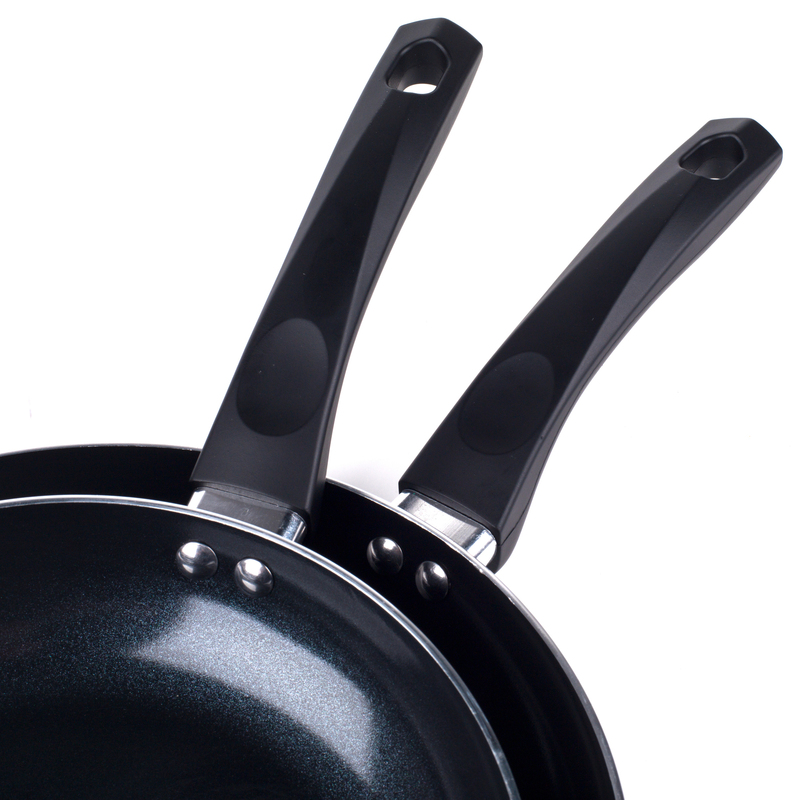 The three pans each have a soft grip handle so you can comfortably manoeuvre them around the kitchen. 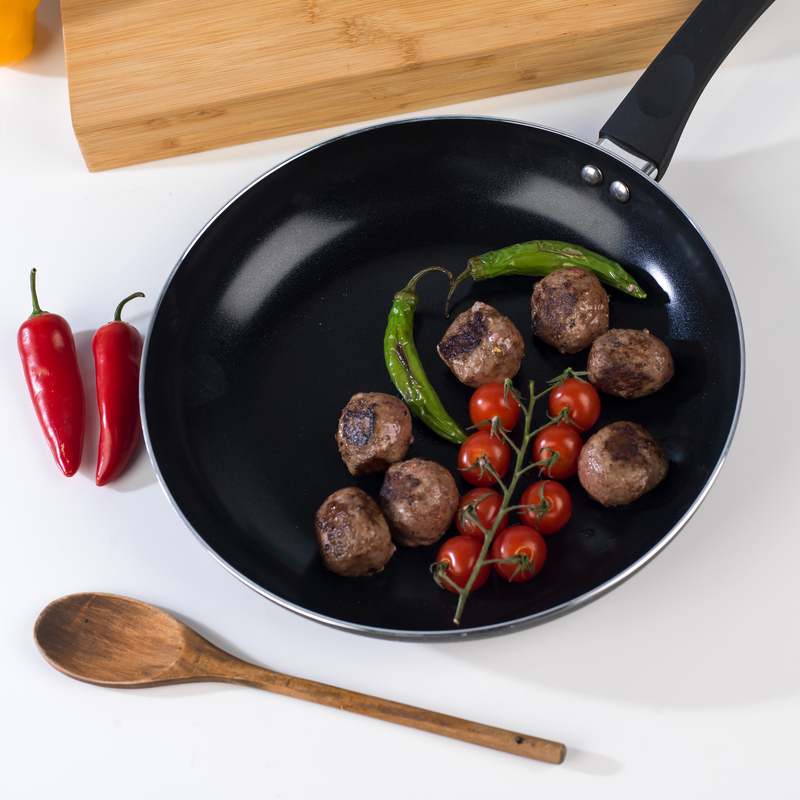 Due to the superb non-stick coating you can cook with little or no oil for healthier meals that taste great. Suitable for all hob types including induction, the smallest pan measures 20 cm with two larger ones measuring 24 and 28 cm. 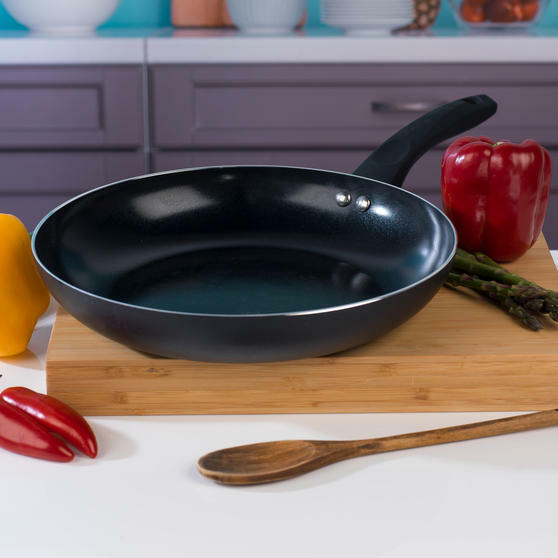 The black pans look sleek and stylish ensuring they will fit in perfectly in any kitchen and are ideal for making meat, fish and veg.